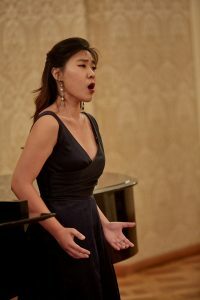 The fifth annual Prague Summer Nights: Young Artists Music Festival, presented by Classical Movements, is pleased to announce the second annual Prague Summer Nights Voice Competition. 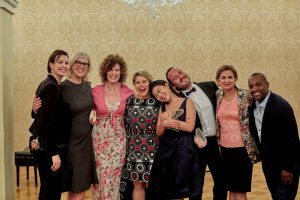 Featuring a first round on Saturday, June 22 at the Divadlo Osara Nedbala in the Bohemian town of Tábor—adjudicated by PSN’s esteemed faculty—the finals will be held in old Prague in the first week of July at Kaiserštejnsky Palace. The judging panel for the finals is TBA. While all competitors will prepare with and receive feedback from PSN’s faculty adjudicators, only 10 vocalists will be selected to perform for the public during the final round of the 2019 Prague Summer Nights Voice Competition. The panel will award first, second and third-place trophy prizes, which include starring roles including scholarships in Prague Summer Nights’ following season’s productions at the Estates Theatre. The public will award its own Audience Favorite Prize, which will also include a role during PSN’s next season. This competition is intended for young singers to gain professional audition experience. All competitors will receive feedback from the adjudicators. Each singer will offer 3 arias in contrasting style. Arias must be sung in the original language and key, and at least 2 different languages should be offered. No oratorio, musical theater or zarzuela is permitted. Repertoire changes are allowed until the day before the preliminary round. In season 2018, the judging panel included one of the world’s leading tenors, Lawrence Brownlee, iconic British mezzo Rosalind Plowright and Washington Post classical music critic Anne Midgette.